I know what it's like working with intense clients who have really severe and chronic problems, including personality disorders, suicidal thoughts, impulse control, addictions and more. There's nothing more rewarding than working with a client whom other therapists have given up on, and seeing that client have a better life. That's why you became a therapist, to improve the lives of even your toughest clients. Imagine having a fresh approach filled with empirically validated tools that can be applied in a flexible and fluid way to help your clients find relief from suffering and overcome their challenges. This online Intensive Training Course will give you the skills and tools you need to see even your most challenging clients thrive. Dialectical Behavior Therapy (DBT) is one of the fastest growing approaches — because it works! It harnesses the power of CBT and mindfulness in a strategic way that gets results. And in this intensive online training, through expert instructive commentary and in-session demonstration, you'll learn to effectively utilize DBT in your practice and transform your patient outcomes. Imagine the satisfaction you will feel knowing that your clients' transformation stems from effective DBT training, skill development, and practice. It's time to begin the journey. . . and this intensive training is your first step. Today Only $399.99 — An Amazing Value! Earn up to 31 CE Hours — included in the course tuition! Certified in Dialectical Behavior Therapy (CDBT). Lane Pederson, PsyD, LP, DBTC, combines his knowledge and experience to guide you step-by-step through 8 weekly modules of in-depth DBT training, all designed to help you effectively apply Dialectical Behavior Therapy with your specific client population in a flexible and fluid way. Watch your email for an order confirmation with the account access link to get started on week 1 materials instantly. Click here for course objectives and outline. You'll have the opportunity to instantly collaborate with other professionals on the course materials through interactive message boards as you begin to develop your own DBT strategy. You'll be part of a community of hundreds of practitioners all focused on these DBT materials, providing valuable opportunities to share insight and experiences, and to build your professional network. Complete your online CE tests and earn up to 31 CE Hours! Click here for total course CE Credit and approval details specific to your profession. Become a Certified Dialectical Behavior Therapy Professional (CDBT)! You'll end this course with a certificate of completion of intensive Dialectical Behavior Therapy training, which meets the educational requirements for Certification in Dialectical Behavior Therapy through Evergreen Certification Institute (EVGCI). Please visit EVGCI's website for more information on full certification requirements and the certification process. Lane Pederson, PsyD, LP, DBTC, an internationally known expert and speaker on Dialectical Behavior Therapy, has trained over 8,000 professionals around the world on the approach. Dr. Pederson owns one of the largest DBT-specialized practices in the United States and has overseen the treatment of thousands of clients. Pederson founded the Dialectical Behavior Therapy National Certification and Accreditation Association (DBTNCAA), the first active organization to certify Dialectical Behavior Therapy providers and accredit Dialectical Behavior Therapy programs. He's the author of the best-selling The Expanded Dialectical Behavior Therapy Skills Training Manual as well as DBT Skills in Integrated Dual Disorder Treatment Settings and the new Dialectical Behavior Therapy: A Contemporary Guide for Practitioners. Pederson is an outspoken advocate of evidence-based practice and "doing what works" with clients across diverse settings and levels of care. Knowledgeable, humorous, and sometimes irreverent, he is highly rated by audiences for making treatment concepts accessible to therapists. 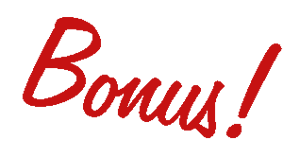 Bonuses Valued at Over $400! FREE - PDF copy of Lane's best-selling workbook: The Expanded Dialectical Behavior Therapy Skills Training Manual, 2nd Edition: DBT for Self-Help and Individual & Group Treatment Settings. This 278 page second edition workbook is the most comprehensive and readable DBT manual available with more skills than any other DBT book on the market! FREE Full-day Seminar Video with 6+ CE hours: Dialectical Behavior Therapy Skills Training for Children and Adolescents: Rescuing the Dysregulated Child with expert Jean Eich, PsyD, LP. You'll discover how powerful Dialectical Behavior Therapy (DBT) is for treating challenging child and adolescent disorders including ADHD, ODD, eating disorders, attachment disorder, anxiety, depression, substance abuse and more. FREE - PDF copy of Jean Eich's DBT workbook for adolescents: Dialectical Behavior Therapy Skills Training with Adolescents: A Practical Workbook for Therapists, Teens & Parents. This 240 page workbook will become your go-to resource for helping to solve your toughest challenges when working with troubled teens! FREE - Over 30 Bonus Worksheets and Handouts: Lane has compiled a packet of effective and practical worksheets and handouts that you can instantly start using in with your clients. This packet includes the Commitment Agreement Form, Phone Coaching Worksheet, Safety Contracts and Plans, Distress Tolerance Worksheet, and dozens more. After 40 years of doing therapy, I've moved into the possibility of operating from a conscious competence level of practice informed by flexible, generously shared, mutually reinforcing models. Spending a day last week with Lane at the Psychotherapy Networker Symposium was a gift. His knowledge, skill, integrity, humility, and generosity are so real and available, I want to learn all I can. My body may be older than Lane's, but I still want to be like him when I grow up. I look forward to giving my best, and receiving all I am able to from you. Evidence Based! Approachable and accessible. Lane is extremely knowledgeable. I would highly recommend Lane and this training to others. Excellent! Combined content with humor which kept the group involved. I really enjoyed Lane's "do what works" approach. Having just completed the course, I must say that I have developed a new appreciation for how DBT will benefit my clients (and myself). I am already utilizing it in the groups that I facilitate and have had very good feedback...I am so glad I took the course. I love the flexible approach. I have been in seminars for 40+ years and it is rare for me to stay with it for such a lengthy training, but Lane did it! I learned a lot & the information was helpful as we went over the DBT stages, application of skills, nature and importance of the structure of this therapy, as well as Lane's expertise & evidence-based support of therapy. Watching Lane conduct DBT sessions was very helpful too. I learned a great deal that I can use professionally and was surprised at how I can also apply this knowledge personally. Great course! Earning your certificate also meets the educational requirements for Certification in Dialectical Behavior Therapy (CDBT) through Evergreen Certification Institute (EVGCI). 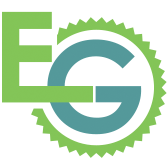 Please visit EVGCI's website for more information on full certification requirements and the certification process. Register for this comprehensive training course without risk. If you're not completely satisfied, give us a call at 1-800-844-8260. We're that confident that you'll find this learning experience to be all that's promised and more than you expected. Are you ready to step into the life awaiting you as a Certified Dialectical Behavior Therapy Professional (CDBT)? Get Certified and Go Further... Become a Certified Dialectical Behavior Therapy Professional (CDBT) through Evergreen Certification Institute (EVGCI) and show your employer, clients, potential clients and fellow professionals your commitment to honing your skills and keeping current on the latest best-practices within your profession. 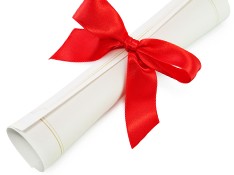 Provide assurance to clients when you display your certification. When you complete your certification, they can be confident you are providing them with the best tools and strategies for improving clinical outcomes. >Click here to visit Evergreen Certification Institute for more information on full certification requirements.